The lodge offers a combination of dorms, en-suite twin and double rooms, safari tents with wooden decks and space in the grounds for camping. Dorm rooms and tents area available for R142.50pp/night; en-suite twin/double rooms are available from R372.50 per room/night; a twin safari tent is available for R317.50 per room/night; and camping is available for R80pp/night. Free tea and coffee facilities are available for our guests, and we offer the option of breakfast and delicious home-cooked meals for dinner. Each Wednesday, you have the chance to taste traditional Swazi food, occasionally with live music provided by local bands. We also offer a DSTV lounge, equipped with board games and book exchange, and there is a large veranda which includes a well-stocked fridge for the purchase of soft drinks as well as a range of beers and ciders. The lodge is surrounded by stunning spacious gardens with a communal braai and campfire area, as well as an outdoor swimming pool and hot-tub. 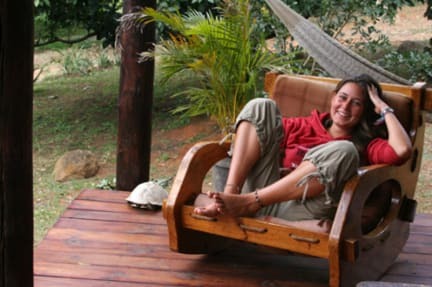 Whether relaxing with a book in a rocking chair on the deck or exploring the surrounding area, Lidwala Backpacker Lodge is a beautiful base in Swaziland's 'Valley of Heaven'. Stayed here for a week and had an amazing experience with the friendliest staff and a great cohort of travelers! Only stayed here a short time but loved it. Swaziland is incredibly beautiful and this hostel is tucked back in nature amongst all the mountains. The walking cultural tour was awesome, very great way to learn about the country and mix with the locals, try local home brew and food. The staff were really personable and helpful and we had a great time joking with them as well. They have a nice hang out area by the bar and a separate quiet tv room for those looking to relax elsewhere. Great place! 100% would recommend and stay again on my next trip to Swaziland. Really enjoyed my stay here. I lived in SD for 3 months before and was coming back to visit. Stayed at this place. While it is not in the city center of Mbabane or Manzini, it's is a about a 20-30 mins taxi ride from either. It is really close to Ezulwini, Malkerns and the craft market which are all popular with tourist. Staff was great, very friendly and helpful. Place was pretty clean and had a pool. Atmosphere was chill. No free breakfast, but you could purchase breakfast for R50. There are lots of volunteer living.Some arrived on saturday lived the kicthen totally mess.We was piss off of that. Opa...mince on the kitchen...need to be vacinated lol. Wonderful place...i will back surely!! 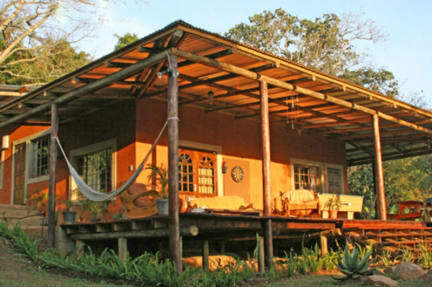 Superb Place to stay for backpackers but also those who seek a nice to place to stay. Great place to stay a little bit difficult to find but it worths it !!! Thank you !!! tip: lidwala lodge and lidwala backpacker lodge are the same place. They are inside the ROKU centre, so you don't get lost like I did. The place is beautiful, they offer (paid) typical swaziland dinner one day a week, and they have a hiking trail inside they're own premises that goes up the mountain! Very nice place. Great garden, a good amount of picknick tables and a sunny pool. Helpfull staff and nice tours on offer. Dorm room got quite hot in the night and the country has struggles with internet, so the wifi was pretty bad. But besides that our stay was great. Staff was great, especially the Swazi guy who was super nice, and other it was easy to chat with other travelers in the common area. Nice chilled out place in a good location. Room was dark though with shoddy lockers, wifi worked in common areas but weak. Would still recommend though and would stay again.